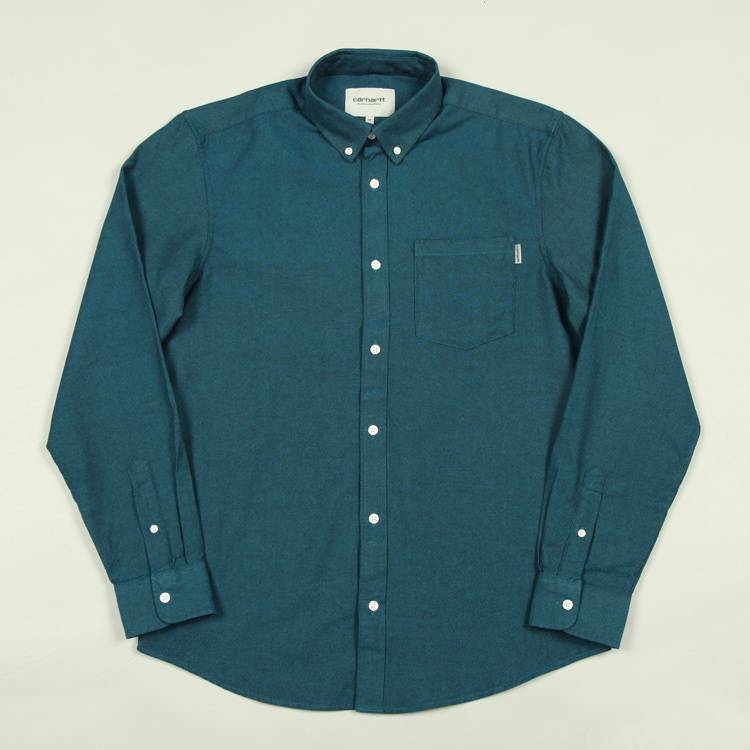 This Carhartt Dalton Shirt in Pizol Heavy Rinsed is a long sleeve cotton shirt in a regular fit. 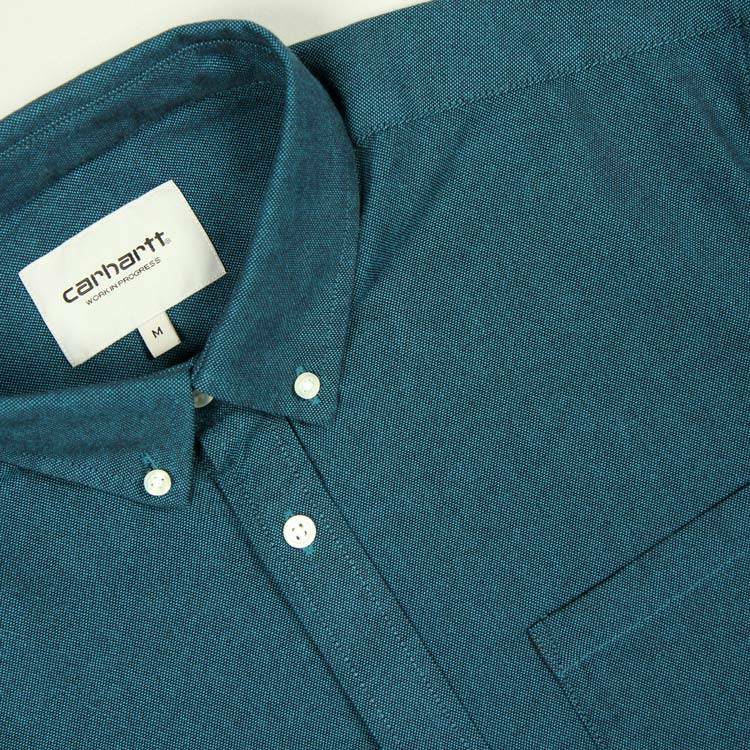 Features include a button down collar, single chest pocket and a Carhartt flag label at the pocket seam. Finished with a loop label inside the neck.